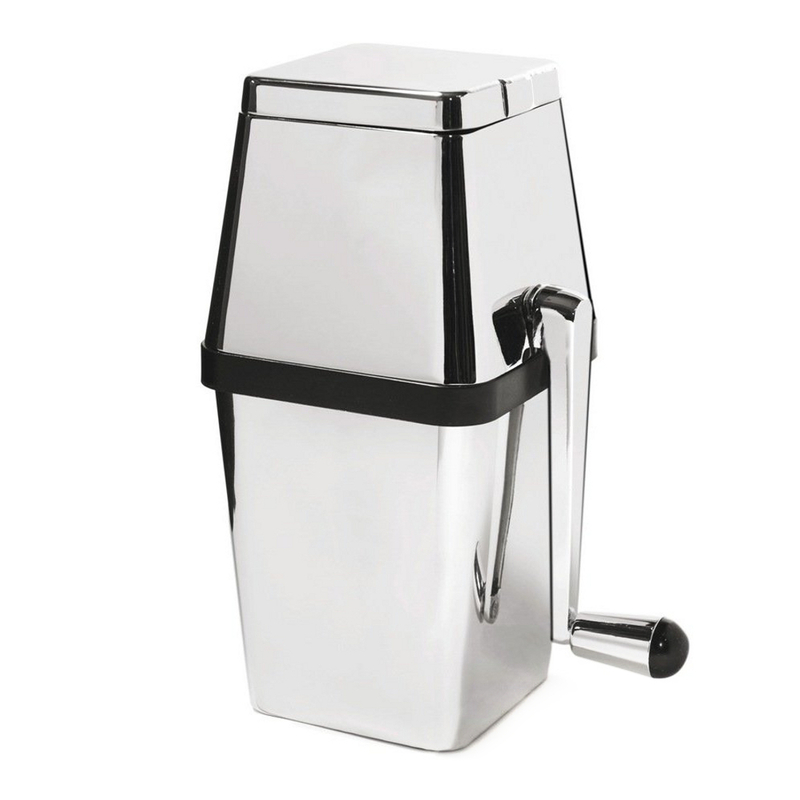 Featuring a retro style that is sure to please, the Rabbit retro ice crusher is ideal for margaritas, slushy drinks, and ice beds for vegetables and shellfish. Made from polished stainless steel, the top has a polished chrome finish. Able to crush up to four cups of ice in just two minutes, it can make either coarse or fine ice depending on your preferences. With a hand crank operation, it has a manufacturer's lifetime warranty on all of the moving parts.